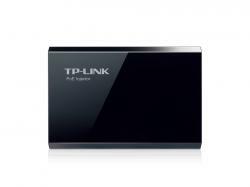 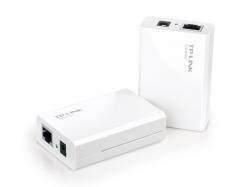 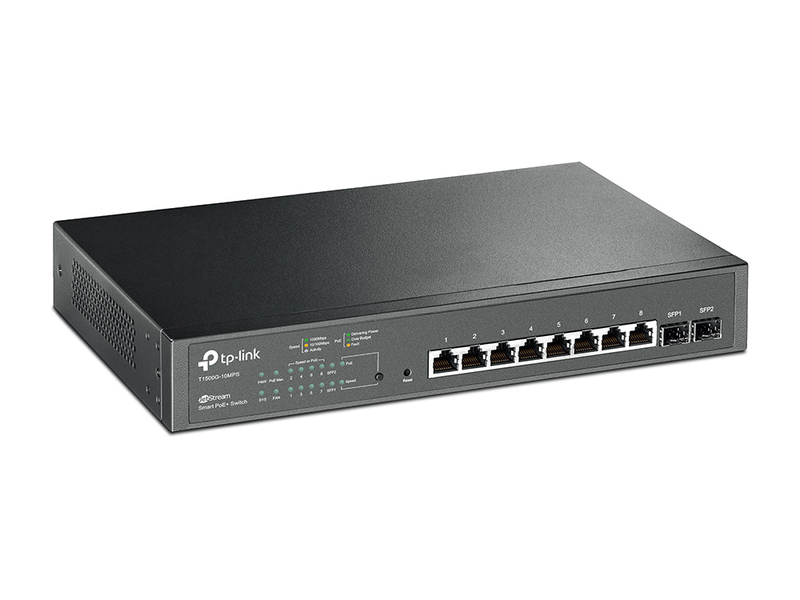 TP-Link JetStream Gigabit Smart Switch T1500G-10MPS is equipped with 8 gigabit RJ45 ports and 2 SFP slots, all RJ45 Ports support the 802.3af/at (PoE+) standard with total PoE power budget of 116W and useful PoE power management features. 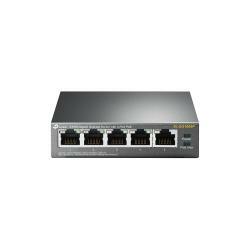 The switch provides high performance, enterprise-level QoS, useful security strategies and rich layer 2 management features. 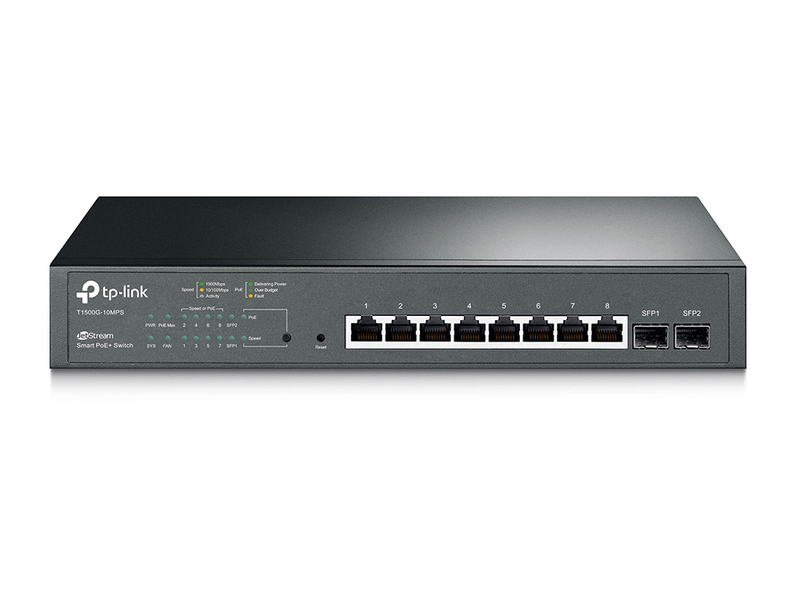 TP-Link’s JetStream Gigabit Smart Switch T1500G-10MPS is especially designed for the small and medium business networks that require effi­cient network management. 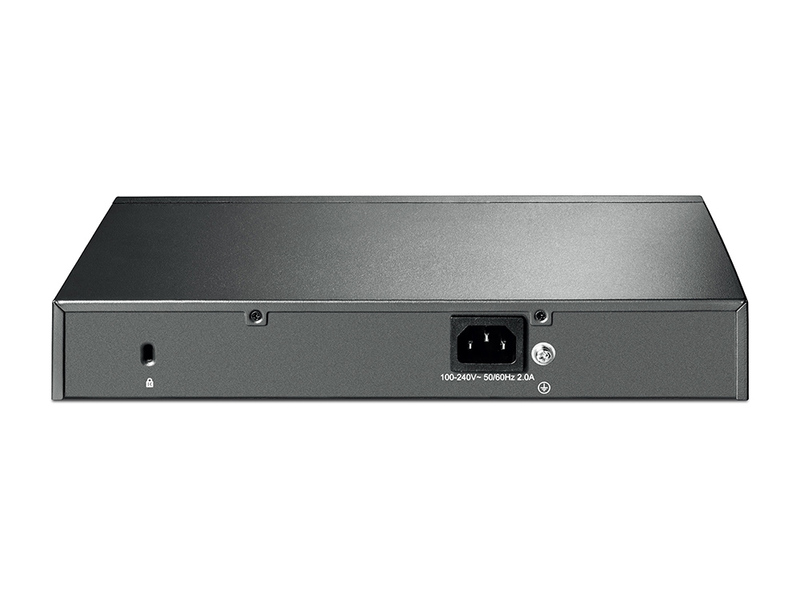 T1500G-10MPS comes with a comprehensive set of features, such as Link Aggregation Group, 802.1Q VLAN, Access Control Lists (ACL), Quality of Service (QoS L2 to L4), Storm Control and IGMP Snooping to provide a small or medium-sized business with a network that is geared for growth while ensuring performance and reliability. 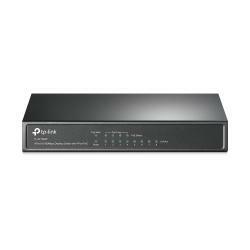 What’s more, its easy-to-use web management interface means faster setup and configuration with less downtime, providing the ideal solution for your business network.